Hayley joined FGS Agri in October 2012 as Sales Ledger Controller and has progressed within the business to her current position of Head of Accounts – Organic Operations. This involves the daily accounts management of FGS Organics & Envar Composting enabling efficient production of management reports and to also provide financial support to the Group Financial Controller & Senior Management team. 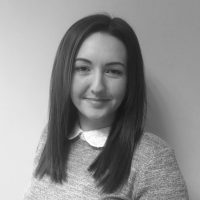 Hayley is also currently in the process of completing her ACCA (Association of Chartered Certified Accountants) and is hoping to become fully qualified within the next two years.